Street medicine, made in Pittsburgh: A gritty, compassionate solution to everything that’s wrong with health care. Editor’s Note: On behalf of PublicSource, writer Timothy Maddocks spent six days between October 2017 and February 2018 embedded with street medicine teams. He attended the 2017 International Street Medicine Symposium and interviewed more than three dozen street medicine practitioners, from Pittsburgh and beyond. Though the days are still warm as we publish this story, soon people experiencing homelessness will again be subject to severe drops in temperature. This story sheds light on how street medicine practitioners aim to help the population throughout the year and how it plays out at the most critical times. 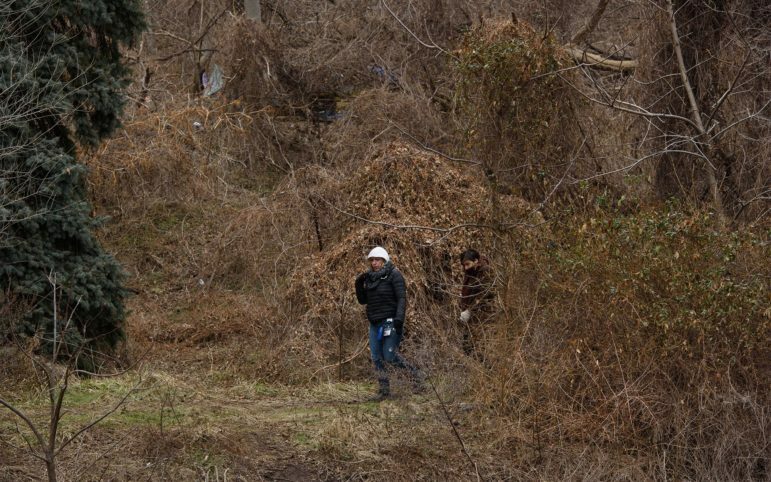 On a gray January morning, the team from Pittsburgh Mercy's Operation Safety Net follows the hollow sound of a dog barking in the distance to the tent that they’ve been looking for. And there it is, between the Allegheny River and the gravel bike trail: a mismatched collage of older tents and tarps, faded yellow and bright orange. This is the home of a man and his dog. Nurse practitioner Janice Kochik, 54, and registered nurse Kelsi Bockenhauer, 23, hang back near the river. They allow for space while outreach specialist Calla Kainaroi, 26, slowly approaches the patchwork home staked to a winter-worn patch of grass. She calls out hello — How are you two doing? — and sets down her offering: a couple bottles of water and a fresh pair of socks. In their last few encounters, the man has spoken little more than a hello. Kainaroi knows the man is shy and private and that he has a special bond with his dog, so much so that he always speaks in the plural, insisting they are “we.” But today, Kainaroi is being particularly deft. She has some good news. She’s gotten word from Allegheny County’s Department of Human Services that there is a vacant apartment for which he is eligible. Not only that: the landlord will allow dogs. His dog — they! But for now, alongside the riverfront trail, Kainaroi takes her time. She hoists herself up on a limestone boulder beside the tent, pulls her knees to her chest. And she waits and listens. She waits for him to speak with her. It’s important to her that she doesn’t force the conversation. Meanwhile, Bockenhauer has wandered off down the trail to get better reception on her cell phone. The evening prior, a bad case of frostbite claimed the toes of one of her patients. She spent all night helping him from his overnight shelter and into an emergency room and has spent all morning playing phone tag with the hospital. She still has yet to learn exactly how severe the amputation will be and she’s trying to figure out where in the burn unit her client’s bed is. As Bockenhauer paces in the distance and Kainaroi sits motionless upon her rock, Kochik — one of two full-time medical providers for Operation Safety Net and the unofficial ringleader of this trio—is content to stand beneath the sycamores and silver maples, to give space. This short chaotic walk along the river, a little tranquil, a little harried, is street medicine. It’s scaling hills, ducking under bridges and hiking into the woods. It’s guiding folks on the margins from the outdoors through the drudgery and confusion of social services and health care. It’s about waiting on a rock and staying on hold on the telephone. Street medicine is the practice in which medical professionals bring health care to the people who are experiencing homelessness, frequently teaming up with social workers and occasionally with formerly homeless peer counselors. For Operation Safety Net, the goal is to connect people with a primary care physician and a permanent roof over their head. In 2017, the program helped 579 people find permanent housing. 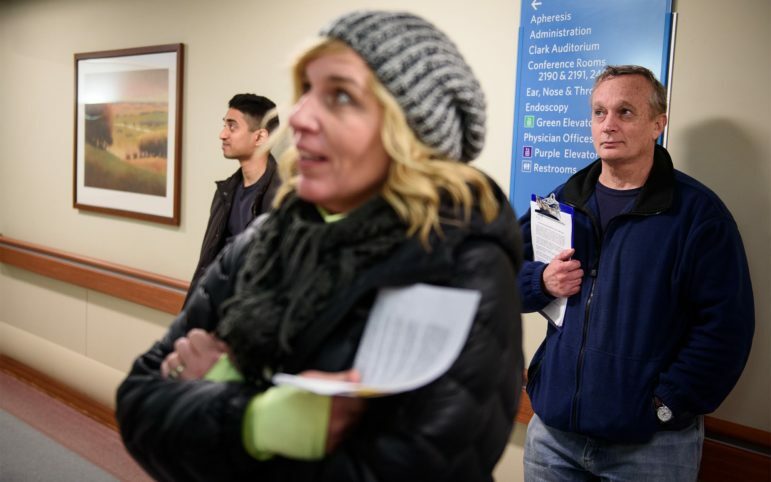 Operation Safety Net has grown beyond its street work to include a mobile medical unit, a drop-in center, a winter shelter and two separate housing complexes, as well as a dozen full-time social workers who seek to connect folks with affordable housing. And what undergirds the entire operation is this notion of what Withers calls reality-based health care, a continual pursuit of meeting patients on their own terms and without an agenda. In Pittsburgh, our “reality” has become a draw for medical workers from around the globe who have come to learn from Withers, making Operation Safety Net an incubator for a burgeoning street medicine movement. In 1993, when Withers first began his practice, you could find similar outreach efforts in larger cities like Boston and Los Angeles. Today there are more than 100 cities across America with street medicine programs, many tracing a direct lineage to the influence of Withers and his work in Pittsburgh. Programs emulating Operation Safety Net can be found in places as nearby as Washington County and as far away as Santa Barbara, California, and Puerto Rico. In the last several months alone, Pittsburgh has hosted practitioners from India, England and Hawaii. Bockenhauer, for instance, is a recent graduate from Viterbo University in La Crosse, Wisconsin. Most of the past year, she’s been embedded here on a year of service with the Mercy Volunteer Corps as she bridges nursing school to the real world. She also wants to see what it would take to start her own street medicine program. Both Kainaroi and Kochik worked alongside Withers as they attended graduate school and have since returned to work at Operation Safety Net full time. 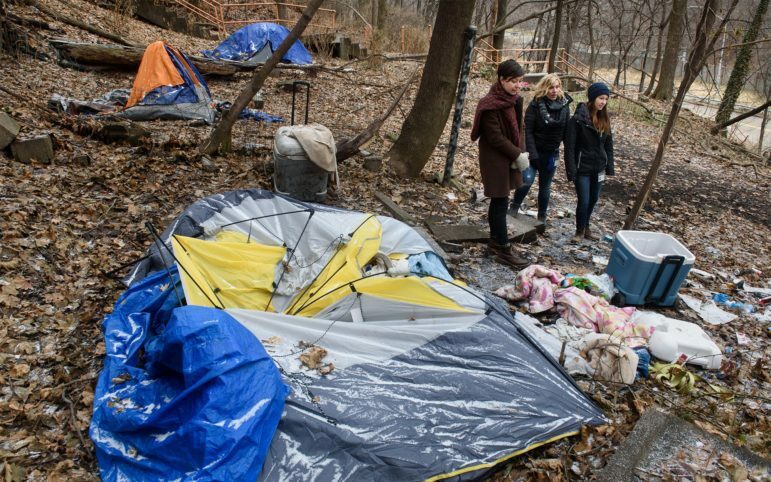 In Allegheny County, where 11,000 people are affected by some aspect of homelessness, this rotating roster of visiting healthcare professionals and social workers has proven mutually beneficial. 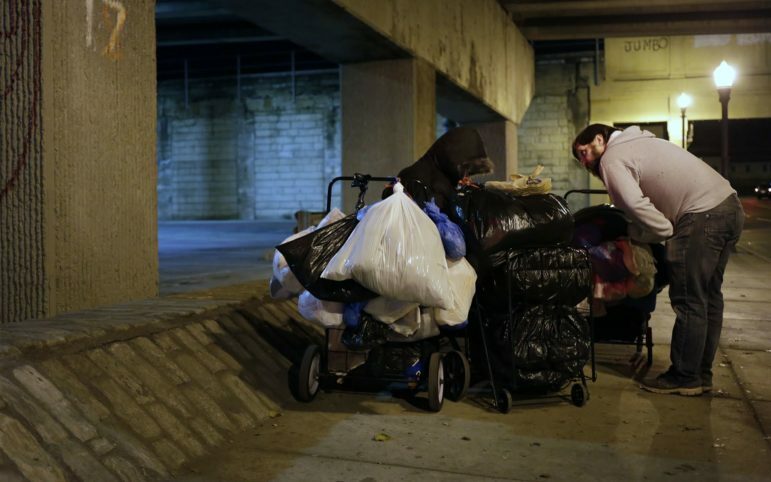 There is little doubt about the immense impact it’s made on Pittsburgh’s homeless community. Since its modest beginnings 26 years ago, Operation Safety Net has provided permanent housing for more than 1,600 people; in the last year and a half, it has served more than 2,637 individuals. Kainaroi holds fast on her rock and waits for the man in his tent. For her, this morning’s reality is that it’s cold and snowy and the man in the tent refuses to come out. For Bockenhauer, this morning’s reality presents a cascading game of telephone tag as she continues to track down her patient. Off to the side, Kochik and I stand near the river, where she tells me a little about what drew her into street medicine. Spending 20-plus years as a registered nurse, she always dreamed of becoming an emergency medical technician on a medical helicopter. All of that changed around 2011 when she went on a mission trip to help underserved patients in Honduras. Because of a scarcity of physicians at the clinic where she volunteered, she fell into a pseudo-provider role, treating patients with the same care as the other doctors in the clinic. This experience motivated her to work her way back to school and to become a nurse practitioner, where her career made yet another pivot once she discovered street medicine. She pulls at the tangle of stethoscope and scarf around her neck as she tells me how she spent her final year of graduate school writing her dissertation about hypertension among the homeless and going on street rounds with Operation Safety Net. “It’s been my passion,” she says. After she graduated, Operation Safety Net hired her to join Withers as the organization’s second full-time medical provider. I ask Kochik if she can provide some insight into what exactly Kainaroi is accomplishing by sitting up on that rock? Kainaroi huddles herself against the cold, pulls her scarf tight. More than six minutes have passed. Kainaroi is now on the phone, and has apparently been given permission by the man to go ahead and to try and connect him to housing agents. Seven minutes. Eight minutes. Still on hold. Still on the rock. And now, suddenly, from where we’re standing we can see that the man is willing to take the phone himself. He briefly chats with the housing agent before handing the phone back to Kainaroi, who sprints over to Kochik to borrow a pen. Kochik bends over and lets Kainaroi use her back as a desk. She jogs back to the tent with the good news. Just another 10 minutes. If he can wait that long and then call back this number, they’ll get their housing. A lease, a roof! But the man has grown tired of Kainaroi. He’s changed his mind. He’d rather not. Ten minutes is too long. Dejected, Kainaroi signals to Kochik. It’s time to go. This strange negotiation between supply of medical care and demand for medical care presents one of the touchstones of street medicine: How does a health worker help someone who doesn’t want help? For Operation Safety Net, the answer is to show up — again and again and again. Showing up is the help. According to Withers, the secret behind street medicine is that the medical workers and social workers must let go of their clients’ long-term healthcare needs and instead focus solely on the moment at hand. A former student, Ipar Zeynep Demir tells a story about how precarious the task can be when face to face with the fragility and vulnerability found in these moments. Demir, 33, had come to Pittsburgh from the University of Iowa last August as a fourth-year medical student on rotation when she met Tina Goughler. At the time, Goughler lived in a tent under a bridge, not far from Lawrenceville. She’s a rail-thin woman in her early 50s with a sharp nose and quick wit. But each time Demir visited her, their back and forth involved little more than simple medical jargon. Demir would leave her with a box of Narcan in the case of an opioid overdose and be on her way. The visits felt stiff and unproductive. Yet Demir and the outreach team continued to return week after week. One day, something shifted. Around the fifth or sixth visit, Goughler invited Demir into her home. She was having a hard day, she said, but wanted to chat. She showed Demir her tent: how she kept it spotless, how she built the A-frame from scrap lumber, how she could elevate it off the ground with cinder blocks and light candles beneath the plywood to provide warmth. And she told Demir about some of the heartbreaks of her past, too: how she’s suffered from cancer, how she lost her job as a long-haul trucker, how she missed her son who’s serving time in prison. And then, suddenly, Goughler turned to Demir and asked if it would be OK to shoot up in front of her. The request startled her. But Demir didn’t object. As she watched Goughler fix her syringe and plunge heroin into her veins, Demir was both sad and, strangely, a little honored. Some months later, in mid-November, as I accompanied the outreach team late one evening, I spoke with Goughler. Demir had gone home after her month-long rotation. But the outreach teams kept returning and building on the trust that Demir had founded. They helped to heal some of the abscesses on her arms and find some outpatient support for her addiction. And, ultimately, they found her an apartment. It’s late last August. Another school year is about to begin — and it’s standing room only in a lecture hall at the University of Pittsburgh School of Medicine. More than 125 medical students peer down from their stadium seats as Jim Withers flips through his PowerPoint presentation. Before a sea of white coats, he’s in blue jeans and a faded blue T-shirt. To illustrate how street medicine works, he flashes photos, telling the visceral stories of his patients’ lives: a woman left for dead on a curb, her face bloodied and swollen, blinded from the beating; a man’s frostbitten feet and toes turned the color of charcoal, in need of amputation; another man’s infected leg, maggots in his sores; and another man, beaten, robbed, doused in gasoline and set on fire. These, Withers says, are his brothers and sisters and this is the violence they suffer. Withers also tells a story of a more subversive type of violence. In the early 1990s, not long before he began his street medicine practice, he treated an elderly patient who was living outdoors in the winter. The man was ill, and Withers advocated for him to stay an extra night in the hospital. But the patient refused his advice, checked himself out and took his chances on the streets — where he froze to death. Withers began to wonder how a man could be more comfortable with death outdoors than with life in a hospital. As the news of the man’s death trickled through the hospital corridors, Withers overheard one of his colleagues refer to the man as a “bumsicle,” like a popsicle — as in a frozen bum. It was a moment that haunts Withers and helped to crystalize something he learned in the late 1980s when he ran a medical program for women who suffered from domestic violence. He saw how the systems, both in health care and the wider society, failed time and again to meet the nuanced needs of the women. He witnessed a lack of understanding and tendency to blame the patients for their suffering. That term, ‘structural violence,’ is one he repeats often. It’s a phrase popularized by Paul Farmer, the medical anthropologist and infectious disease specialist who founded the international health care program Partners in Health. By Farmer’s formulation, the antidote to structural violence is the “preferential option for the poor,” a tenet of liberation theology, which asks its adherents to position themselves with the poor, to advocate for them as they would advocate for themselves. The idea is to give to the poor what you'd give to the wealthy and in the way you’d give it to the wealthy. Farmer has used these tenets as the impetus for delivering medical care to the impoverished people of Haiti. The seemingly apathetic nature of the hospital system is what ultimately sent Withers looking for what he calls the “classroom of the streets.” He wanted a place to address the structural violence. 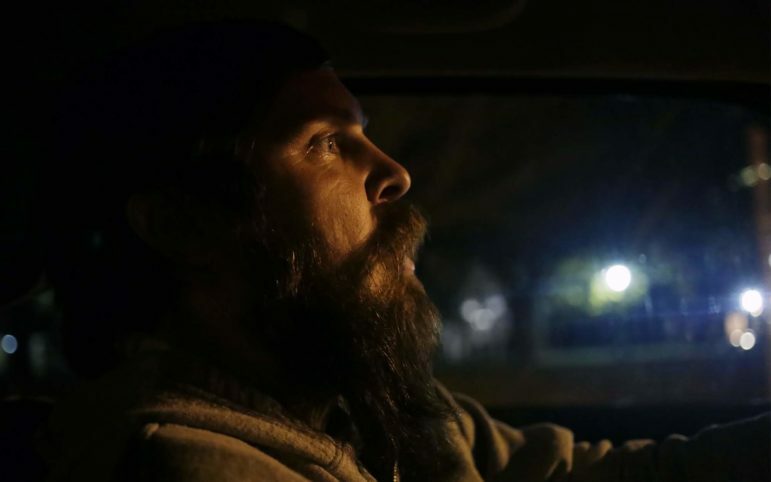 With the help of a guide, a man named Mike Sallows who himself was once homeless, Withers began to hike around the Hill District, Downtown, along the rivers, into neighborhoods well-known for their dereliction, making inroads with people experiencing homelessness, treating them, seeing them and being with them. Before long, nurses from the hospital who shared his frustration with the hospital system began to join him on his outdoor treks. He began to see how simple attention and care could make a difference in the lives of the underserved. He began to see the value in striving to understand a patient’s reality. And in 1993, he found an office, hired a small staff, and under the umbrella of Pittsburgh Mercy, he started Operation Safety Net, leading volunteers and students into his newfound “classroom.” By 2003, he trademarked the name “Street Medicine” and in 2009 founded the International Street Medicine Institute. Today, Operation Safety Net employs 50 full-time employees, 14 part-time employees and 105 active volunteers. They include outreach specialists and medical workers who lead dozens of pupils, from medical students to undergraduate volunteers, out into the homeless community. From the first wave of nurses eager to join Withers on the streets to the now 60-plus medical students who travel to Pittsburgh every year, street medicine has tapped into some intrinsic need to practice medicine in an alternative way. From a pocket of his winter coat, Withers pulls a pair of clean white socks bundled into a ball, jostles them like a baseball and plops them onto the cafeteria table. As medical assistants, nurses and lab techs bustle through the hospital cafeteria, Withers and Kochik sit across from first-year residents Sheel Chokshi, 28, and Joe Tholany, 26. 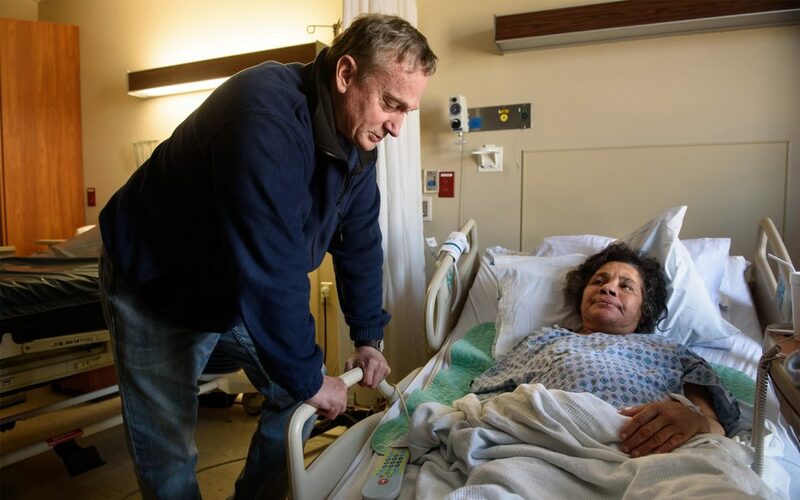 Withers explains how he and Kochik have been called into the hospital today to see if they can persuade his former patient, 59-year-old Amanda Stedman, to proceed with hip-replacement surgery. As students, Chokshi and Tholany will assist Withers and Kochik as they visit folks in their tents, in the streets or in the woods. Some days they’ll see patients in the Wellspring Drop-In Center in Uptown, and some days it means returning to the hospital. Today’s hospital visit to Stedman is particularly special for Withers. He’s known Stedman since before he coined the term street medicine. He began treating her in the mid-1990s when she slept beneath a bridge near Heinz Field. “She was chronically out there,” he says. “She got beat up all the time out there … but finally we got her into housing and then into [Pittsburgh Mercy].” In the 15-plus years he’s known Stedman, she’s cycled in and out of housing. But in recent years, under the care of Pittsburgh Mercy, she’s found her most stable situation yet. For more than a year, Stedman has lived in a home where she has weekly visits from social workers and healthcare providers to help her continued recovery. Pittsburgh Mercy practices what is called “inclusion medicine,” sometimes better known as “complex medicine,” a practice by which they address addiction, mental health and physical health with equal weight toward all three. For Pittsburgh Mercy, this includes helping to keep a roof over their clients’ heads. Withers credits this holistic approach for the success of patients like Stedman. When we arrive at Stedman’s door, I wait outside with Withers as Kochik and her two pupils scoot into Stedman’s room ahead of us to let her know Withers has a journalist in tow. When the doctor and I enter, we see Stedman reclined in her hospital bed. “The Jerry Springer Show” blares from the TV in the corner of her room making her slight voice tough to hear. She’s been given some medicine for her pain and, though it’s made her a little groggy, she flashes a wide grin to greet Withers. As it turns out, she’s already agreed to go ahead and have the procedure done, so Withers’ official role as a consult is completed before he’s even arrived. But the lesson here is not about procedure or consultation. It’s about this moment of uncertainty before the anesthesia and the incision and the road to recovery. She tells Withers how she’s getting along with her attending physician — how she’s as comfortable as can be. She picks at the compression stocking wrapped around her leg, and Withers assures her that it will help to prevent blood clots. Stedman’s hands shoot out, palms up, ready to receive, and Withers hands her the brand new pair of shin-high socks. And the room erupts in laughter, all of us invited into the inside joke that’s been nearly 20 years in the making. As we leave Stedman’s room, Withers promises to visit after her surgery. These promises are small gestures. And the small gestures, in their own way, are a kind of promise. The hugs, the laughter … the socks. They’re tokens of humanity in the world of professional health care, where such gestures are so often absent. Timothy Maddocks is a freelance writer based in Pittsburgh. He can be reached at timothy.maddocks@gmail.com. This story was fact-checked by Tyler Losier. PublicSource has curated signature projects from 10 sources, local and national, to inform our readers about the imperative issue of maternal health. Pitt to remove Dr. Thomas Parran’s name from university building. Here’s why. Barely a half-mile from the controversial monument to Pittsburgh-born Stephen Foster — set for removal after being criticized for honoring racism — stands Parran Hall. The University of Pittsburgh building is named after Dr. Thomas Parran Jr., a public health icon whose legacy is irrevocably tied to racist, unethical medical experiments. Well done, Tim. A phenomenal piece highlighting the decades of work by Dr. Withers and his team working to selflessly serve those who need it most.